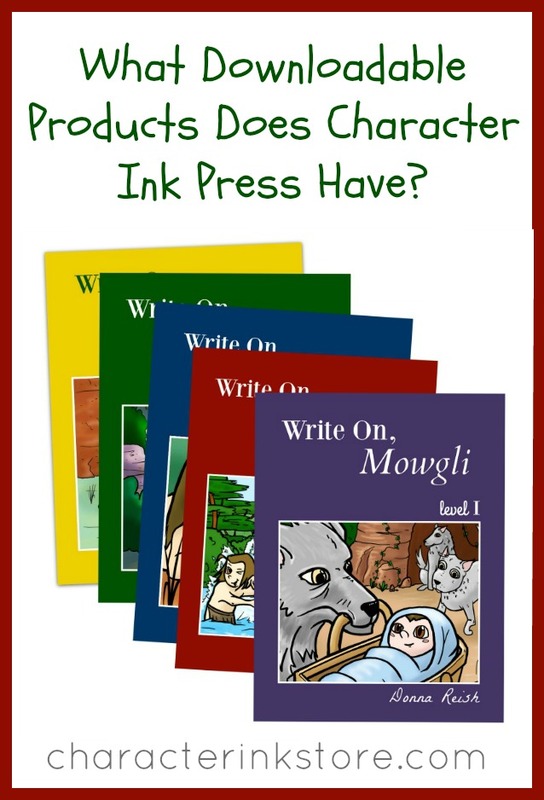 What Downloadable Products Does Character Ink Press Have? But we are doing it….little by little! This post will give you a little glimpse into what we have done so far and what our plans for the future are! 1. Write On, Mowgli; Write On, Peter Pan; Write On, Beauty and the Beast–our darling Book-Movie-Book month-long writing booklets are all available now (fifteen total!). We will be adding Write On, Christmas Friends this fall with some amazing holiday writing lessons that I have been testing over the past two years (with amazing samples of all of the projects!). Click HERE to view our books. 2. Really Writing was my original brainchild for converting Meaningful Composition writing assignments into downloadable monthly booklets for homeschoolers and brick and mortar schoolers. They are cool books–but the branding has kind of been all over the place….so look for these to change to Write-for-a-Month this winter (at our store and our Teachers Pay Teachers store). In the meantime, we have a few of them up as RW and dozens more to go up soon! Click HERE to view our books. 3. We have very gradually been getting other language arts downloads up. We have offered several of those as freebies on the blog and in our newsletter. These are cool booklets that REALLY work! 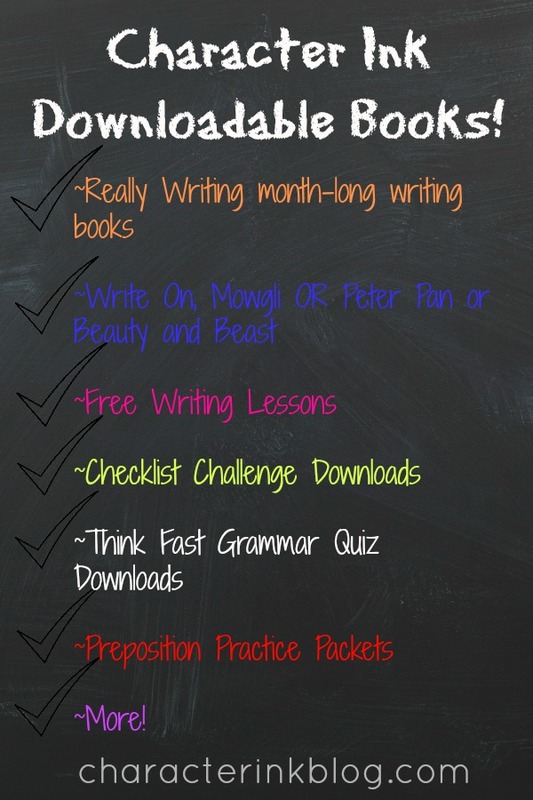 We have our “How to Complete the Checklist Challenge,” “How to Write From a Source,” “How to Use Our Writing Boxes,” “Preposition Practice Packet,” “Think Fast Grammar Quiz and Answer Key,” “Write On Audio and Booklet Set for Teachers,” and much more! Click HERE to view our other Language Arts downloadable products. Of course, we still have our print book lines, Character Quality Language Arts and Meaningful Composition! Thanks for being a part of Character Ink! Write On, Beauty and Beast III Up at Stores!